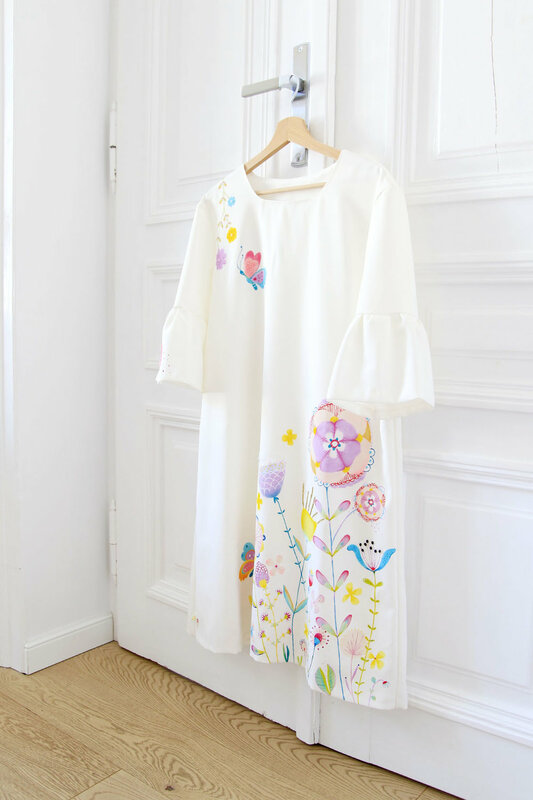 I want to share with you my latest project a hand painted white cocktail dress. 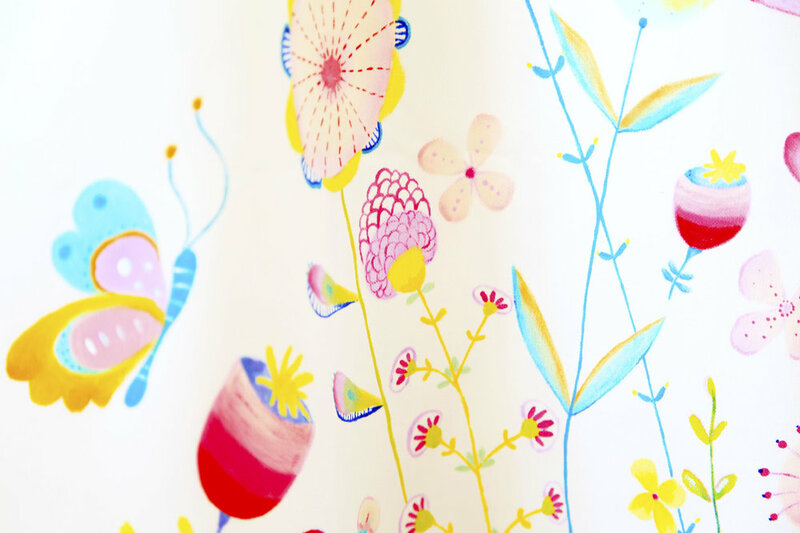 The dress was made by Tamara Matvisin in Cracow and I painted it with colors for fabric. I also used beads as well as golden thread for some of the details on the dress. It is so great I have met Tamara, she is so talented and willing to design and make all the things my customers are asking for. They just send me the measurements and with a little bit of magic Tamara turns fabrics into a dresses or skirts... ready for me to paint them. So I don't need to look for clothes and buy them in shops, everything is unique, tailored and made by custom order. More of your unique projects are waiting for me to make them and I am so excited. I am having a little surprise next time so make sure you do visit my blog or follow me on Facebook page or on Instagram next Wednesday! Happy 5th Bday to Les Chérubins!! !